Ian MacCallum, Vice Chairman and Trustee of the Croucher Foundation, died on 5th April 2013, aged 82. 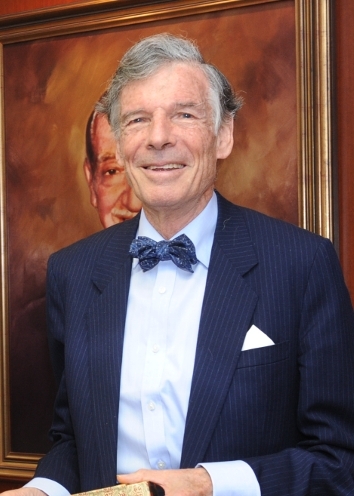 Ian Robert Anderson MacCallum, a long-term resident of Hong Kong from 1956 to 1994, was the Vice Chairman of the Croucher Foundation and a founding trustee. At the time of his appointment to the board of trustees of the Foundation, MacCallum was the senior partner of leading law firm Wilkinson & Grist. Appointed by Noel Croucher, and serving for more than thirty years as the Vice Chairman, MacCallum made an inestimable contribution, not only to the work of the Croucher Foundation, but to the development of science, technology and medicine in Hong Kong. He brought a wealth of experience, as a prominent and successful lawyer, as an individual deeply committed to the development of civil society and education in Hong Kong, and as an indefatigable committee member with an unerring sense of how best to get things done. MacCallum was involved in every aspect of the operation of the Foundation. As a non-scientist, he participated in each of the selection panel meetings of the Foundation, interviewing hundreds of students and following with interest the subsequent academic progress of those selected for Croucher Scholarships and Fellowships. MacCallum was a member of the Croucher Foundation’s first delegation to Beijing in the early 1980s, and over the years maintained close and friendly relations over the years with his counterparts in the Chinese Academy of Sciences. In October 2012, at a dinner held in Kunming, MacCallum was invited by Professor Zhang Yaping, Vice President of the Chinese Academy of Sciences to address the gathering. This he did with characteristic verve, describing the origins of the Foundation and its mission to promote the development of science in Hong Kong. In addition to his contribution to the work of the Croucher Foundation, MacCallum served in voluntary positions at the Salvation Army, the Methodist International Church, St. James’ Settlement, Hong Kong Bible Society, Basic Law Consultative Committee, Justice, Community Advice Bureau, Hong Kong General Chamber of Commerce, Law Society of Hong Kong and the Friends of Cambridge University Prince Philip Scholarships. In May 2011, in recognition of his distinguished service, MacCallum was admitted to the membership of the Roll of Honour of the Law Society of Hong Kong. MacCallum will be greatly missed by those who had the privilege to work alongside him. His kindness, his courage, his wisdom, and his love of Hong Kong are an inspiration to us all.